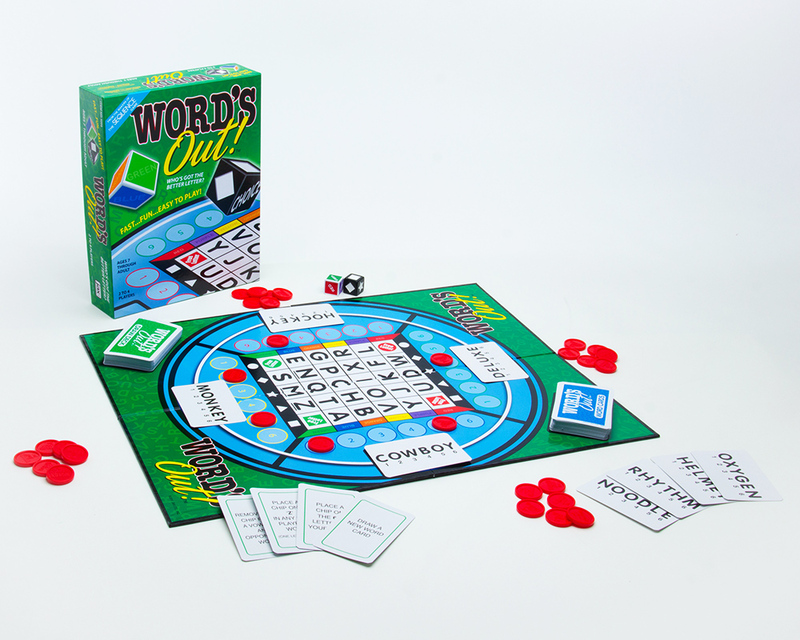 IF YOU HAVEN’T ALREADY HEARD…THE ‘WORD’S OUT!’ And it’s the fast, fun, easy-to-play word game for the whole family! Just roll the dice, then find a letter in the ‘LETTERGRAPH’ on the game board. If that letter matches one on your word card, place a chip on the corresponding space. Or… draw a card? You may get to remove an opponent’s chip, swap words, or lose one of your chips! Be the first player to ‘spell out’ your word and you win the game! ‘WORD’S OUT!’ is all about having fun with letters and words, and for the younger players, what a great way to learn!